I plan to build a dial that is able to control multi-factors such as brightness, colors, and wheel. I came up this idea with an old telephone dial and I wonder how one dial can control multiple tasks. Technically, I was planning to build a programmable tactile dial. So it can transform the tactile effects and clicking points depends on what it will controls. For example, if there are 5 steps to control, then it will have 5 points that the user can feel each point. I will use a haptic motor with the motor drive. 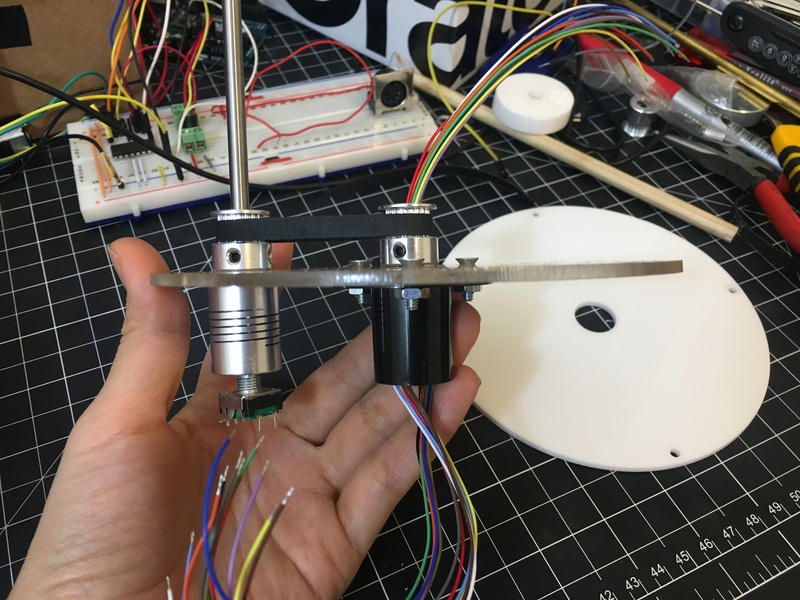 And, if I have a rotary encoder with center hole, it would be much simpler for fabricating. Here is Simple DMX + MKR1000 example code (from sACN_intro.ino / https://github.com/tigoe/sACNSource) with a push button that I tested so far. I tested a haptic motor with the driver code from Adafruit site. It works very well and simple. 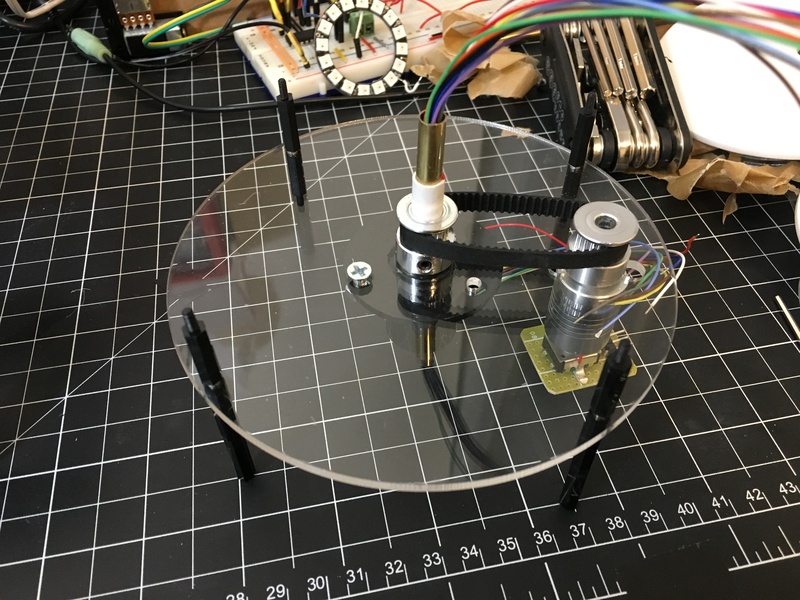 For my quadrature rotary encoder, I used Encoder.h library and connected to interrupt pins. Compared to the normal rotary encoder, it was very sensitive and fast.